The Sky Train is a network of elevated trains that run to and from the centre of Bangkok. It’s safe, easy to use, and has connections with other public transport networks. These include the Airport Link, MRT, and Express Boats. Trains are very regular, although there are no services between midnight and 6AM. The Bangkok MRT is the city’s underground rail system. The MRT network covers a 20km route between north and south Bangkok. It interlinks with the BTS at certain stations (passengers can travel between the two). Passengers can also connect to the Airport Rail Link from the MRT network. Subway trains are regular (although there are no services between midnight and 6AM) and you can buy tickets from vending machines at MRT stations. Since Bangkok roads are frequently heavy with traffic, the express boat service that operates along the Chao Phrya River is an excellent alternative. Boat services operate in both directions between Central Pier and Nonthaburi and are fairly regular, particularly during rush hour. Unless you have a good working knowledge of local dialects, Bangkok buses are not the best way of navigating. Route information is not freely available in English and most buses are only popular with locals. The Bangkok bus network is vast, however, so if you are an adventurous type, you might like to give bus travel a try. The ARL is a high speed connection between Central Bangkok and the airports. There are three different ARL services, two of which are non-stop services. 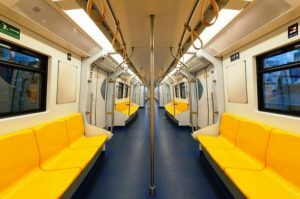 Trains are fairly regular and the journey between Suvarnabhumi Airport and the city centre takes a maximum of thirty minutes. Tuk Tuks are a tourist’s dream! No stay in Bangkok would be complete without a trip in a Tuk Tuk. 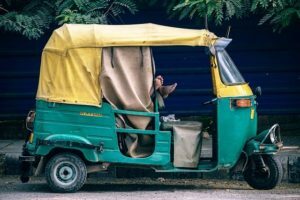 Just in case you are wondering what on earth a ‘Tuk Tuk’ is: they are a motorised three wheel vehicle operated as a taxi for hire. A ride in a Tuk Tuk will give you a taste of life on the edge. However, fares can be expensive and, unlike taxis, Tuk Tuks don’t have air conditioning. Taxis are a safer form of private hire transport. They are definitely the most convenient way of traversing the city, especially between midnight and 6AM. Bangkok taxis are generally very cheap and all fares are calculated by a meter. Avoid those without a meter! The main disadvantage of Bangkok taxis is that you may end up sitting in traffic jams if you take a taxi during rush hour. When the traffic is particularly bad and you only need to travel a short distance, a motorcycle taxi might be just the ticket. Motorcycle taxi drivers can be found on most street corners. Though this type of Bangkok transport is not for the fainthearted, it can be useful if you are in a rush. Just don’t forgot the helmet! Unless you have a death wish, we don’t recommend driving for your first visit. However, should you prefer the convenience of wheels at your disposal, it’s possible to hire cars and vans. It is also possible to hire a vehicle with a driver/guide, which might be useful if you are travelling with a small group. Rental vehicles can be hired from local rental firms and travel agents; insurance is normally included in the price. You will need an international driving licence to drive in Bangkok, plus lots of cash to pay the arbitrary fines.